SMEED Special Medical Emergency Evacuation Device - Iteleti - Shop+Buy=Ship...For All Your Medical Equip! 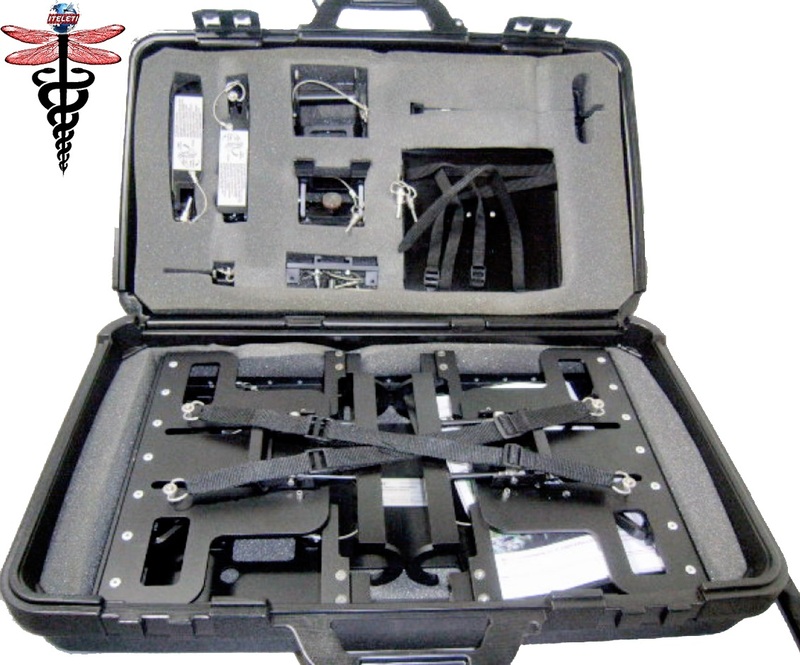 The SMEED Special Medical Emergency Evacuation Device system is rugged, lightweight, inexpensive; compatible with current and future commercial devices, is rapidly customizable to meet individual customer and patient needs and perfect for use as mobile platform in an Ambulance, Emergency Vehicle or anytime you need equipment directly next to a patient-fits on top of a stretch. The SMEED is also approved for in-flight use aboard aircraft. This Item is Very Good Condition. Listed as A which means it may be NEW OLD STOCK or if it’s Used then it’s only because it has been Opened and Inspected as Required for a Medical Device in which a Medical Device Label is Created and Annually the Label is Updated to satisfy Joint Commission Requirements. 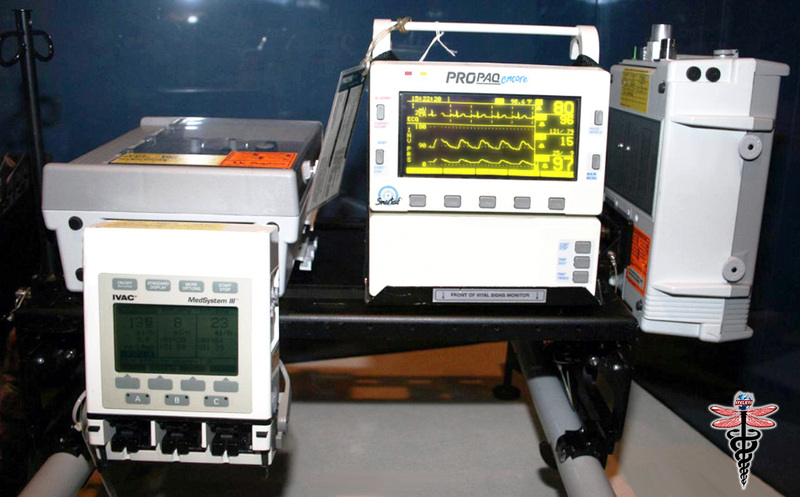 Retail Asking Price for these before ZOLL purchased Impact Instrumentation was $1,788 and we are selling for half that!!! The device metal framework attaches to evacuation litters and holds individual pieces of medical equipment needed for optimal patient transport. The Special Medical Emergency Evacuation Device (SMEED) stabilizes a variety of medical devices, such as ventilators and oxygen cylinders, replacing the traditional method of attaching such equipment directly to the transported patient. Lightweight and adjustable, the 14-inch by 22-inch SMEED adapts for use in any Department of Defense medical vehicle. The critical care platform was specifically created to lessen the discomfort of burn victims during medical transport. Enthusiastic responses from those testing the SMEED prototype were convinced that the creation had greater lifesaving potential through technology transfer. The Army physical therapist refined his design through several prototypes, while searching for development funding that ultimately came from the U.S. Army Medical Materiel Development Activity. The Army subsequently patented the device and in 2002 awarded a Small Business Innovation Research contract and exclusive license agreement to Impact Instrumentation, Inc. of New Jersey. Note Overall height of the SMEED Platform in its fully extended position with full equipment load does not exceed a height of 54 cm. measurements are obtained from the top of the litter pole to the top edge of a Propaq Monitor. ITEM WILL BE ON SALE STARTING IN APRIL OF 2019.